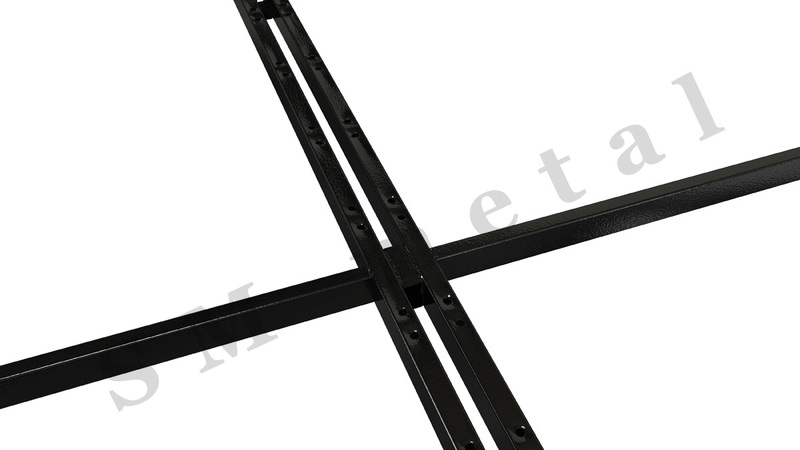 The wooden slatted metal frames with reinforced metal construction are exclusively tough and enduring, due to the additionally mounted middle shaped metal and lateral cross-bars. 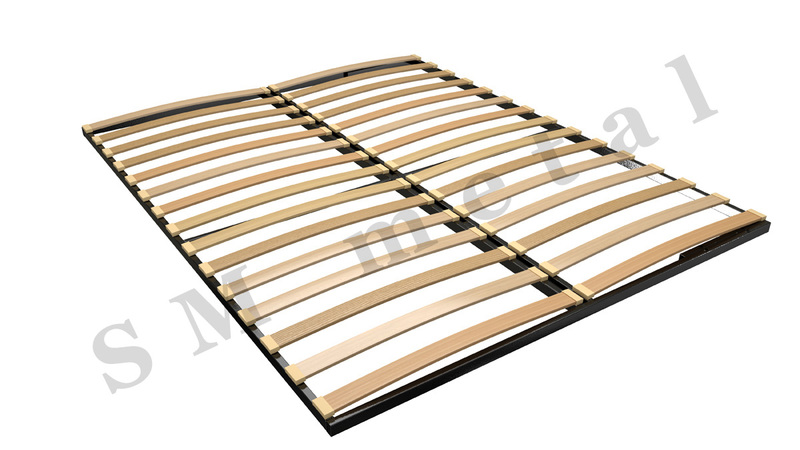 They are suitable for all types and sizes of reversible mattresses. 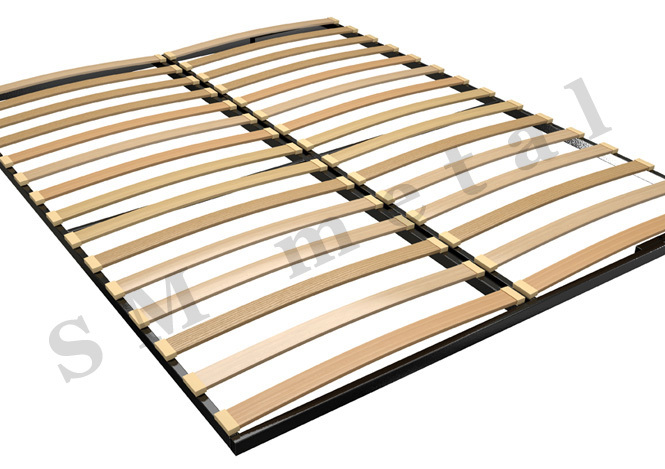 The frames are powder coated, made of shaped metal with dimensions 35/20/1,2mm and wooden slats with 10mm in thickness and 54 mm in width. 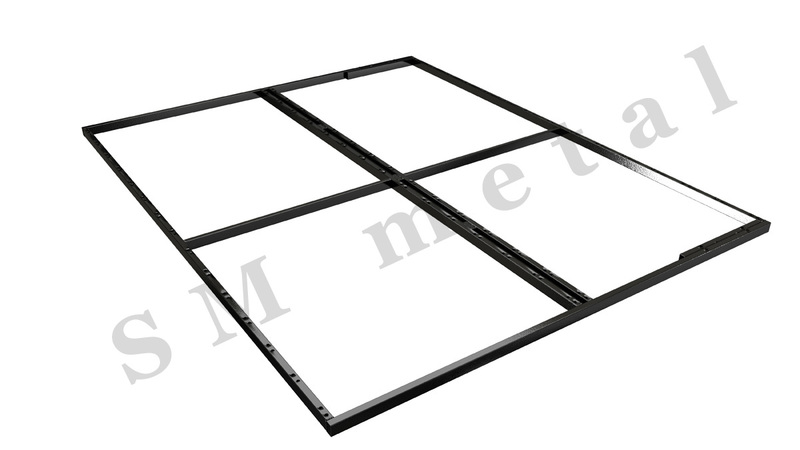 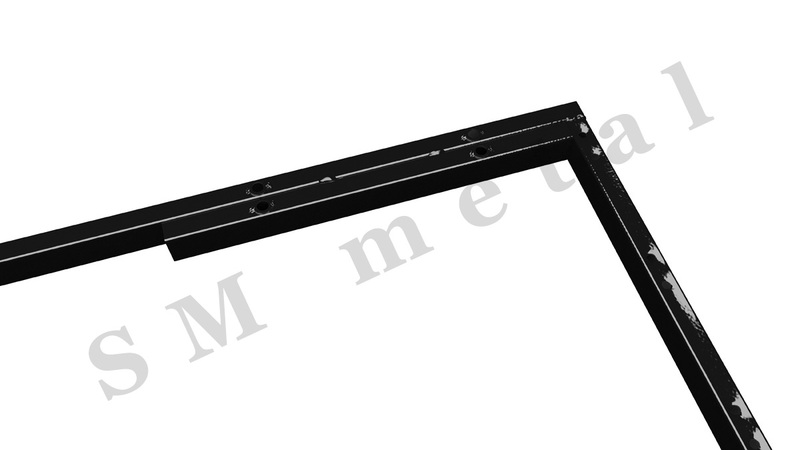 All sizes of frames include assembly strips of a lifting mechanism.